Higher! Higher! Higher! 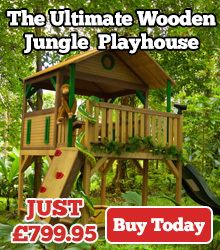 Check out our incredible new Kids Garden Swing Sets! We all have treasured memories of our time at the playpark, from our parents pushing us on the swings to the great day when we finally learned to swing without being pushed. With this in mind, we’ve put together a simply incredible new range of Kids Garden Swing Sets which let you and your children create your own memories in the comfort of your own garden. A swing set is the easiest way to encourage educational and activity play. Kids of all ages love to swing as high and as fast as they can, which is why we’ve made sure that our incredible range of Kids Garden Swing Sets is made to the highest standards of quality and craftsmanship, with top-grade materials and a meticulous finish to make sure there are no splinters or rough edges. 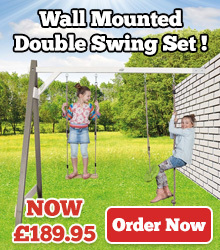 We’ve worked hard to make sure that our range of Kids Garden Swing Sets has a swing set for everyone, from double swing sets and single swing sets to toddler safety swing sets and large garden swing sets. 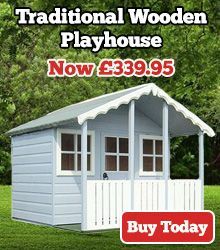 What’s more, our nationwide delivery means that whether you’re searching for kids garden swing sets in London or kids garden swing sets in Edinburgh, we’ve got you covered! 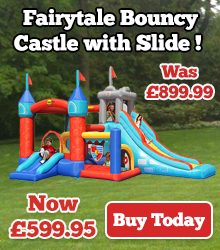 Just take a few moments to explore our unbeatable range, and pick the swing set that suits your family from Gifts For Kids Online! 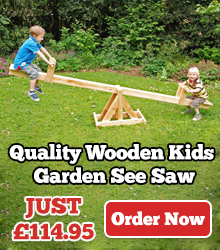 Get your Kids Garden Swing Sets online today!